While a layman in my pursuance and understanding of the nature of geometry, it is along the way we meet some educators who fire up our excitement. For me it is about the truth of what lies so close to the soul’s ideal. At this point in the development, although geometry provided a common framework for all the forces, there was still no way to complete the unification by combining quantum theory and general relativity. Since quantum theory deals with the very small and general relativity with the very large, many physicists feel that, for all practical purposes, there is no need to attempt such an ultimate unification. Others however disagree, arguing that physicists should never give up on this ultimate search, and for these the hunt for this final unification is the ‘holy grail’. 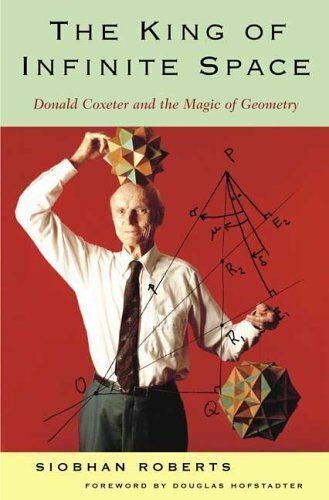 As if searching for a foundation principle, and highly subjective one in my case, I have been touched by example, as if to direct my attention to the early geometer. Riemannian Geometry, also known as elliptical geometry, is the geometry of the surface of a sphere. It replaces Euclid’s Parallel Postulate with, “Through any point in the plane, there exists no line parallel to a given line.” A line in this geometry is a great circle. The sum of the angles of a triangle in Riemannian Geometry is > 180°. To me this is one of the greatest achievements of mathematical structures that one could encounter, It revolutionize many a view, that been held to classical discriptions of reality. In the quiet achievement of Riemann’s tutorial teacher Gauss, recognized the great potential in his student. On the curvature parameters, we recognize in Gauss’s work, what would soon became apparent? That we were being lead into another world for consideration? Albert Einstein (1879–1955). Relativity: The Special and General Theory. 1920. So here we are, that we might in our considerations go beyond the global perspectives, to another world that Einstein would so methodically reveal in the geometry and physics, that it would include the electromagnetic considerations of Maxwell into a cohesive whole and beyond. The intuitive development that we are lead through geometrically asks us to consider again, how Riemann moved to a positive aspect of the universe? This entry was posted in Donald Coxeter, Euclid, Non Euclidean. Bookmark the permalink.